Want to reduce your risk for America’s #1 killer? 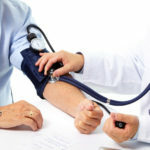 All you need to do is optimize your blood pressure (aim for levels that are less than 120/80) and obtain an ideal lipoprotein profile, with triglyceride and LDL levels in the lower range, and HDL cholesterol levels in the higher range. Not sure how to go about achieving these levels? Here are 6 surefire strategies to get your started. 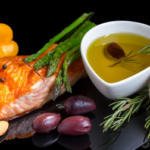 It’s estimated that about 30 percent of all heart attacks, strokes and heart disease-related deaths can be prevented in high risk individuals by simple adhering to the Mediterranean diet [i]. The diet emphasizes fruits, vegetables, legumes, nuts, whole grains and plenty of olive oil [ii]. It also includes a moderate intake of wine and poultry; and little-to-no sweet beverages, dairy, red meat, trans fats, processed foods, pastries and creams. Chronic high blood sugar levels damages blood vessels and nerves, and increases your risk for heart disease [iii]. 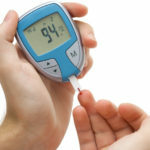 Get your blood sugar under control by exercising, and vastly reducing or eliminating refined carbs, sugar, trans fats and saturated animal fats; and by consuming blood sugar optimizing foods (for a complete list, get our Blood Sugar App: http://ow.ly/t5Bkv). * If you want to learn the root cause of blood sugar imbalances and eliminate them for good, check-out our eBook http://ow.ly/xqHqj. 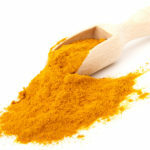 Herbs and spices such as turmeric, rosemary, cinnamon, pepper, basil, ginger, fenugreek and garlic help to enhance your cardiovascular health in 3 ways. Firstly, they act as potent antioxidants, which may help prevent the oxidation of LDL cholesterol and thereby reduce plaque build-up. Secondly, they help to quash inflammation, which increases the risk for arterial plaque, blood clots and high blood pressure [iv] [v]. And lastly, they help balance blood sugar levels [vi]. Excessive stress can increase blood pressure, blood sugar and inflammation levels and chronic stress is intimately linked to cardiovascular disease risk [vii] [viii]. 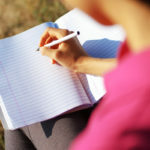 Effective strategies for reducing stress include – meditation, hot baths, nature walks, maintaining a positive attitude, exercising, journaling, yoga, deep breathing exercises, learning to say no, managing your time wisely, making a good nights sleep a priority, and/or talking to a friend, loved one or mental health professional. 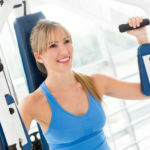 Exercise improves your cardio health in a multitude of direct and indirect ways. It helps to reduce inflammation, it lowers stress, it optimizes insulin and balances blood sugar, it improves circulation and it helps you achieve a healthy body weight; all of which help lower blood pressure, unhealthy cholesterol levels and cardiovascular disease risk [ix]. Aim for at least 30 minutes a day of exercise and be sure to combine both aerobic and strength training exercises for optimum heart health benefits [x] [xi]. Inflammation encourages the formation of plaque on artery walls, resulting in narrowed arteries and forcing your heart to work harder to circulate blood throughout your body [xii]. All of this increases your risk for heart attacks, most strokes, vascular dementia and coronary and peripheral artery disease [xiii]. Implementing the above 5 strategies, plus sleeping well, avoiding tobacco, minimizing alcohol and maintaining a healthy body weight will all help ensure inflammation is kept at bay.